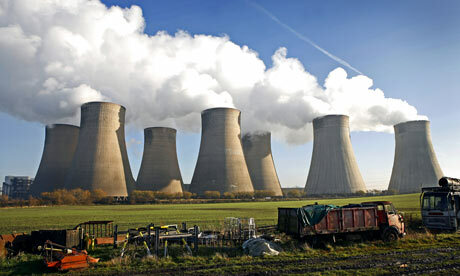 The defence of the Ratcliffe coal power plant protesters in the UK, charged with conspiracy to commit aggravated trespass, was that they were acting through ’necessity’ to prevent death and serious injury caused by carbon dioxide emissions and climate change. James Hansen was among the defence witnesses, testifying to the reality of the danger from climate change. The prosecution argued that the defendants were not really intending to stop carbon emissions, but instead engaged in a publicity stunt. I wrote in this post in January of the lenient sentencing from a judge who was clearly impressed by the motivation of these ’decent men and women with a genuine concern for others’. They were found guilty and had to be punished, albeit leniently. ’…police chiefs in this country are out of control. They appear to see their role as protecting corporate power against the people, regardless of what the law says. To this end they are spending both public money and private money extracted from public hands, without obvious lines of accountability or constitutional authority.